Below are the common tests that breeders are either LRCA required or recommended on all dogs used in a breeding program as well as the links to the labs that are most used by breeders, or that carry the specific test for the Lagotto. AKC DNA Program DNA testing must be done on any foreign dog used in a US bred and whelped dog to be eligible for AKC registration, which is a LRCA breeder requirement. It can also be used as parentage testing in dual sire litters to determine the sire of each puppy in a litter. Lagotto Storage Disease The test is available through Genoscoper Labs. Once test samples are received at the lab, results take 6-8 weeks. This is a complete DNA panel so also tests for BFJE and Incorrect Coat and more, for one fixed price. http://www.mydogdna.com/shopping-cart Select the "MyDogDNA" for ordering your test kit. Benign Familial Juvenile Epilepsy (BFJE) Test to establish affected, carrier or clear status of this autosomal recessive gene that causes epileptic type seizures. There are two laboratories that carry this test, Optigen LLC in New York, Genoscoper in Finland, and University of Bern in Switzerland. Hip, Elbow, and Patella Testing Information on the tests can be found on the home page Orthopedic Foundation for Animals. Any licensed Veterinarian can take an OFA radiograph. Hips Only: PennHip Only Veterinarians certified in PennHip may take and submit radiographs for diagnostic reading. 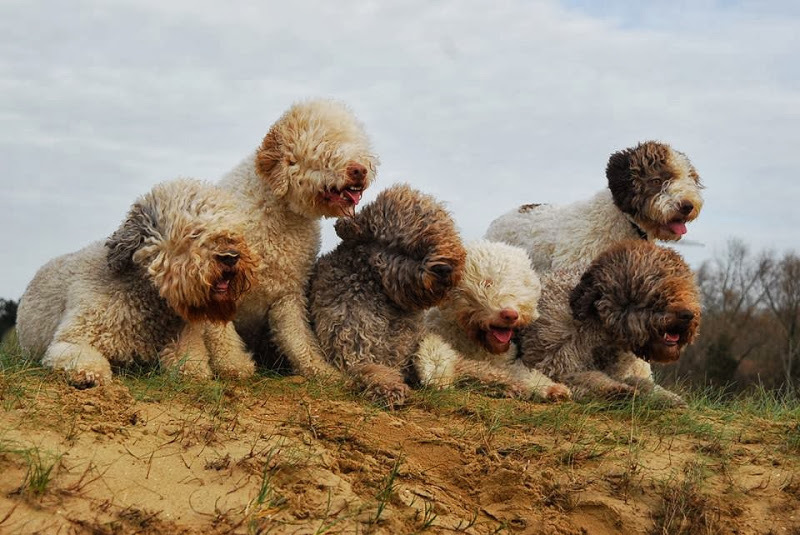 Incorrect Coat (recommended test) Another autosomal recessive gene, where some Lagotto do not have all correct coat “furnishings” and therefore do not have the phenotypical curly coat. This is also found in the Portuguese Water Dog, and is a cosmetic issue, not a health issue. Carrier dogs should be bred only to those that are IC clear. Anyone wishing to participate in this study should contact Eva Fauth, juergen.fauth@t-online.de and she will guide you on what is needed and what to do. The testing will require blood samples and they are looking for samples from both cataract free and affected dogs. Some samples have already been collected in Finland, and hopefully they will work together in this important work.